Most young people have heard that most of the jobs they'll do in the future don't even exist yet. 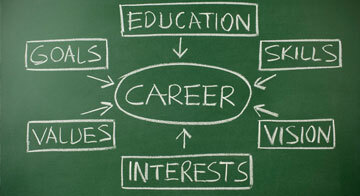 Still, choosing a college major often starts with an idea of the career you might like to have. One new career test claims to be the world's best, and it could help you think about your future. Sokanu developed a science for matching people to careers. What's unique about Sokanu, though, is that helping you identify a perfect career is only a secondary goal. Most important to them: helping you learn about yourself. You should give it a try and see which careers might be best for you. Have you tried Sokanu? We would love to hear your comments below.